Whether your building needs routine building maintenance, or general or specialized cleaning, the janitorial service crew at Kelly Building Maintenance can return your office to the pristine state it began as. With over 30 years in the janitorial and building maintenance industry, it takes a lot to surprise us. Our team relies on structured management and always works to solve problems before they happen. We never apply a one-size-fits-all approach to the work we do and guarantee that every job is done to full client satisfaction. After-Hours, Night Cleaning and Weekends. Medical Janitorial & Medical Facility Cleaning Services. Total Fitness Center Cleaning and Sterilization. Full-Service Manufacturing and Industrial Cleaning. Emergency Clean – MRSA, Scabies, Bed Bugs, Lice, etc. Comprehensive Daily Dusting and Dust Collection. Daily Trash & Recycle Handling. Total Restroom Maintenance And Sanitation. Wall & Partition Spot-Cleaning and Maintenance. Total Entryway And Door Cleaning Daily. Flood & Fire Clean up. Cleanup of Travel Ways Including Elevators and Stairs. 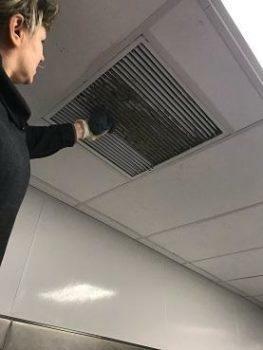 Air Duct & Ventilation Dusting and Cleaning. Because our team has been cleaning so long, they know how to manage even the most daunting cleaning projects. 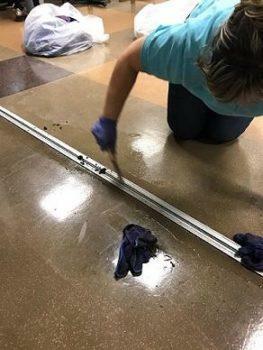 From fitness centers that only need after-hours attention to Health Care Cleaning Services for commercial buildings that need all-hands-on-deck, all day long – Kelly Building Maintenance has got you covered. Kelly Building Maintenance encourages questions, feedback, and open communication. We offer a guarantee on all work completed, which means if there’s ever a problem, we follow-up immediately. All members of our team are thoroughly vetted, and only cleared after passing state and national background checks. Every treatment is overseen by experienced foremen who get their direction straight from building or office managers. For buildings in need of a fully-managed cleaning that gets the job done right every time, Kelly Building Maintenance is standing by to get building maintenance off your hands. Our full-service packages mean you don’t have to call just to get the floor scrubbed. With a constant presence of an across-the-board building maintenance team, your office, building or commercial structure is always being looked after. 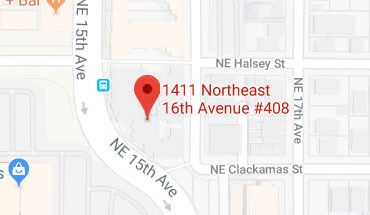 Without a doubt, our staff is the best in the Olympia area, and we take pride in the high-quality work we do for all of our clients. 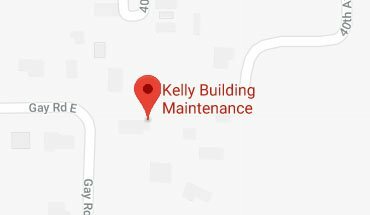 For more information on how Kelly Building Maintenance can keep your facilities in great shape, call today.